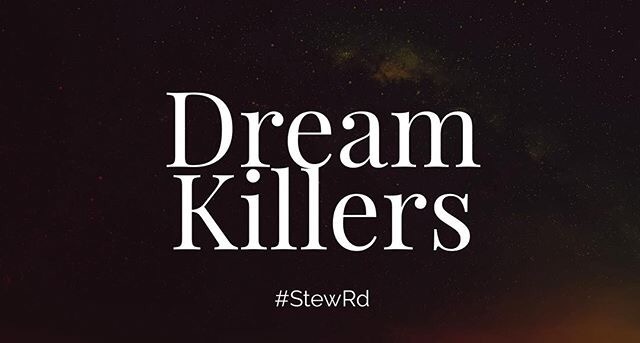 5 Dream Killers – Stew Rd. To dream requires hope and freedom. If we have lost hope that things can change, our present will always be imprisoned by our past experience and limitations. How does that relate to dreaming with God? To dream requires me to be free from negative expectation and hopelessness. It means I have to see the promises of God in action in my future and I bring glory to Him by agreeing with what He says. What would stop me from seeing that? Fear. Fear is the dream killer. Fear equates to unbelief which is actually faith in the enemy’s words and activity more than Father God. Any fear will kill some sort of dream or possibility in your life, but I have named five of the main fears that I believe kill hope and dreams. What if I am not enough? What if I am not able? Fear of inadequacy is something we will all have to overcome to accomplish anything beyond our present condition. The fear of inadequacy really ends up being a problem of too much self-confidence. God never said you were adequate for anything. That is why we need a savior and His ability active in us to accomplish anything of eternal benefit. Not enough? No problem. It actually brings God glory when we invite and allow Him into our situation to reach an outcome beyond our ability. He loves to do that and He is looking for someone who will sign up for the adventure. Other translations of that verse say the fear of what people think will be a trap that snares us and stops us from going forward. We live in a day and time of intense societal pressure. Social media has taken peer pressure to unprecedented levels in our time. If we allow people’s opinions to be in the driver seat of our life we will always have to ask permission to do what God has said or put in our heart and there will always be plenty of naysayers. I love the story in Matthew chapter 9 when a government official came to Jesus because his daughter had died. He knew where to go for hope. Jesus arrived at his house and said the girl was “asleep” and the crowd began to tell Jesus he didn’t know what He was talking about. Jesus didn’t argue or try to convince them, He removed the crowd from the room and then raised the girl back to life. Dreams rock the boat. Dreams break the mold and the status quo. Dreams require change and something different than before. People pleasing aborts dreams before they have a chance to grow. Dreamers are not hindered by the opinions of others. They are too consumed, focused and overwhelmed with what they see to be distracted by the naysayers and the crowd. And, truthfully, dreamers can be a little annoying if we do not share the same hopes as them. Joseph almost got killed by his brothers because of his dream. A dream and a vision for something new should inspire us! However, when people are bound in fear and hopelessness, someone else’s dream and hope are a stinging reminder that they are a prisoner of fear and negative expectation. Jealousy and intimidation sometimes make appearances as “realistic” and doubt. If you are going to see a hope or a promise realized in your life, fear of people’s opinions will be one of the first things you will need to dismiss. Our imagination is a gift to dwell on the promises of God and imagine the possibilities of what He could do. Will I get it perfect and bat 1.000? The best athletes in the world operate on percentages. There was only one human being that batted a perfect 1.000 in life without an error. Part of our problem is that we get a picture in our mind that God never drew for us. He has a plan to grow us and bring His reality to our world if we will allow Him, but we often imagine it in a different way than He has planned. It is easy to dismiss our experience as a failure when it does not happen the way we pictured it in our mind. Don’t throw away the canvas with the setback, give God the brush and see what He will do with it. I love this quote (author unknown), “Success is going from failure to failure with no loss of enthusiasm.” In Luke 18, Jesus asked if he would find faith on the earth when he returned. He didn’t ask if he would find victorious outcomes, He asked if He would find faith. Faith is a victorious outcome. Trust God in the process and let Him define success. How is the fear of success is a dream killer? Something that used to perplex me were people that repeatedly returned to abusive relationships. It took me a long time to understand that people gravitate toward situations that feel normal and comfortable to them even if it is not a good place. In John 5, Jesus encounters a man who has been severely crippled for 40 years. The question He asked the man seems ridiculous and almost insulting at first. Wow. That was awkward, did He really just ask that? A man has been disabled for 40 years and Jesus asked if he wanted to get well. Why would he ask that question? Because Jesus understood that change requires growth and new responsibility and some would rather stay broken than make the changes necessary for growth. If we are to grow and see something new in our life, it will require a greater level of responsibility in some part of our life. I have heard it said that many newly released convicts will quickly do something to land back in prison. Why? Because the responsibilities of freedom are more than they know how to handle so they find a way back to what they know. “This is who I am. I have always been this way with this struggle and circumstance.” Change for the better means going somewhere unfamiliar and sometimes people choose “same” over growth. Why? Because what you are really called to do is impossible for you. It will require God’s help. “I am more than a conqueror, no weapon formed will harm me, I laugh at my enemies, I can do all things IN CHRIST.” In Christ is beyond ordinary. It is supernatural and it will require us to lose the fear of change, responsibility and doing things above and beyond what we thought we were capable of. I recently wrote about how weakness is a gift that leads us to get the help we need to do something more than we could do on our own. Some never realize their dreams and hopes because they would rather fail alone than succeed with help. When we have a problem with our car we take it to the shop. When we are sick we go to a doctor. But, when it comes to life, pride and independence often keep us isolated from the help we need. With the right help you can do anything. Look around you. Buildings, automobiles, airplanes, systems, businesses, schools all are a result of someone working together to see a dream realized. Someone dreamed that we could fly in a an airplane or saw a skyscraper in their mind. Any dream that is bigger than yourself will require help. The difference between a small business and a world-wide business is the amount of people behind the scenes partnering their gifts and talents to reach further than they could alone. To not dream means I’m either too afraid or not being honest about what is in my heart. 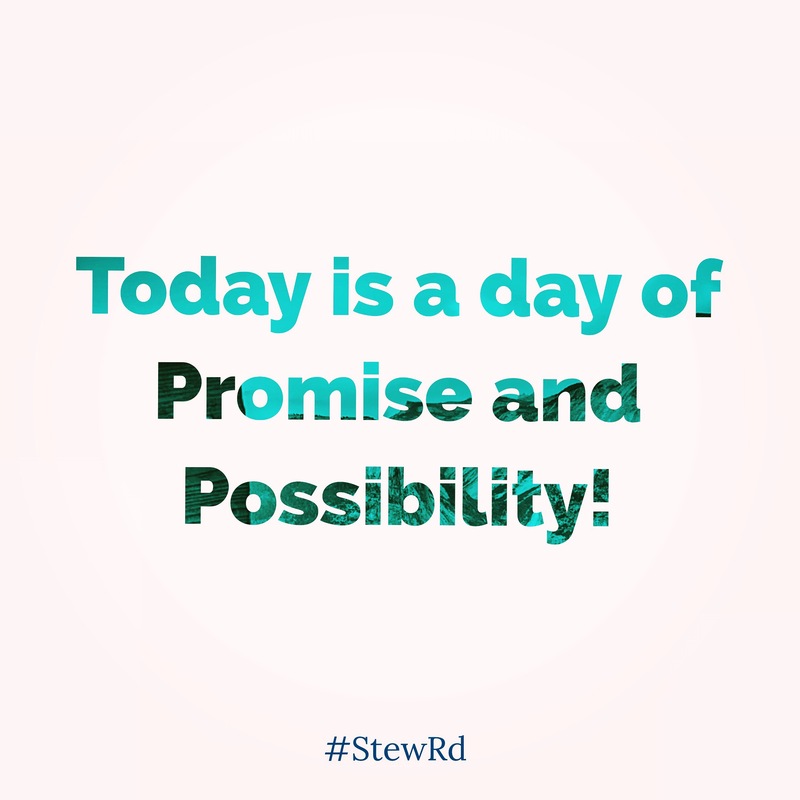 Dreamers dwell on promise and possibility. What did God say and what could God do? Leave a comment below of other dream-killers you have experienced. A Bad Case of the “Uns” – stuck in negative thought life? Totally agree Paul! It is amazing grace inviting us beyond ourselves for sure. I’m a bit late getting into these…well worth the time! Thanks for sharing!!! Norma! I am honored that you enjoy it. Thank you for reading. Pingback: How to Ruin One Night with the King in 2 Simple Steps – Stew Rd. Great Post! You are right on with People’s Opinions killing dreams! Hard one to deal with. Thanks Craig! I am a recovering people pleaser – in process in that one.